THE state's most experienced master fisherman warned Fisheries Minister Mark Furner of the emergence of a deadly shark threat in a letter last January - months before the recent attacks. John Reid said his letter was ignored. "He didn't reply," said Reid. "He didn't ring up. No one contacted me. Silence! I put them on notice and got nothing but silence." It wasn't the first time Reid had spoken out. He warned of the dangers time and again in explicit logbook entries he was obliged to write for the State Government as a commercial fisherman. 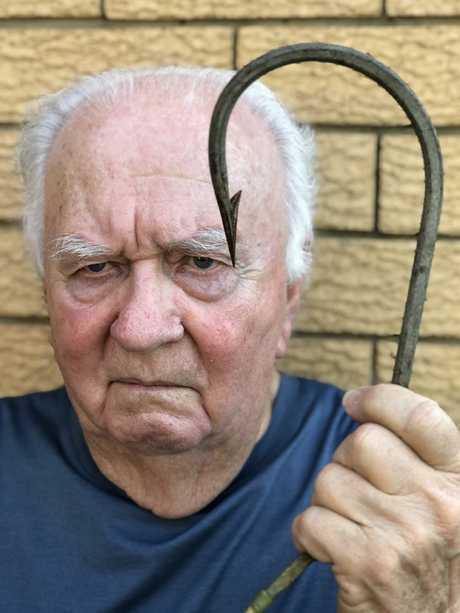 Reid, 81, who hauled his first shark aboard at Cape Moreton when he was 18, is furious. 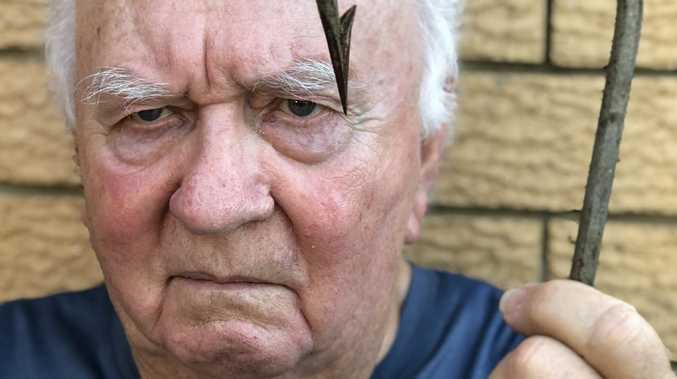 He blames government indifference and misguided environmental zealotry for the exponential rise in the numbers of tiger sharks, white pointers, bronze whalers, black whalers, bull sharks, hammerheads and grey nurse sharks. Groups of eight or nine sharks frequently circle under his fishing boat just four nautical miles off the coast. It's the same story off Townsville and other fishing centres along the coast. "In the last five years the number of sharks has doubled in each of those years," he said. "It's been extraordinary. They are so prolific." Reid makes no apologies for blaming recent shark attacks on green politics and rise of environmental concerns for the predators. He believes a succession of Labor premiers, starting with Wayne Goss in 1994, unintentionally helped shark populations to grow by curtailing netting and extending no-go green zones. Reid, a Brisbane Grammar old boy who started life working life as an electrician, said the opposition to netting and drum line baiting was irrational and exposed swimmers to enormous dangers. 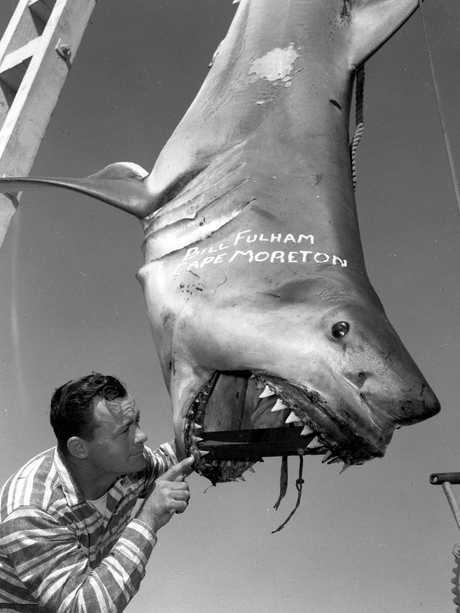 This 1228lb white pointer shark was landed by Bill Fulham, a member of Queensland Game Fishing Club, off Cape Moreton after a 45-minute battle in 1961. Reid said comments this week by Tourism Minister Kate Jones showed the State Government did not understand the enormity of the problem that was a threat to tourism and livelihoods of those who catch fish. He said Jones and Furner were "dithering". And he is right. A time-wasting talkfest will not scare the sharks away. The state does not need another inquiry, says Reid. The information on shark numbers is already there in the commercial fishers official log books. And Queenslanders do not need any more lectures from academics who put marine life ahead of human life. If only someone in the State Government had read Reid's prophetic log book entry of March 14, 2011. 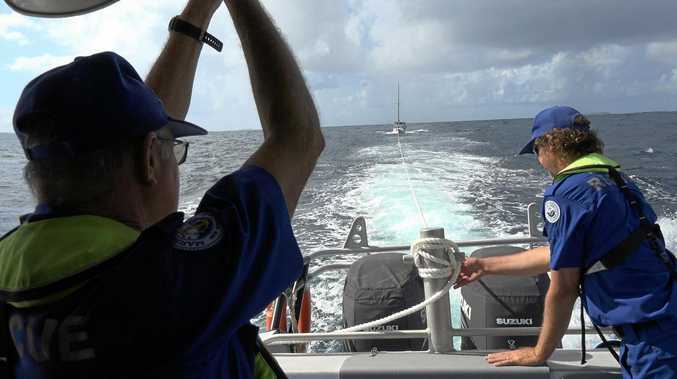 "I wish to report that during the last seven day I have experienced shark activity in the waters off Mooloolaba like I have never experienced before," he wrote. "In three fishing days I lost 11 Spanish mackerel _ all bitten off behind the head." Some were 17kg. He said the sharks frequently devoured almost the entire fish leaving only the head. "The bite marks on what is left of the fish indicate they are very large predators. "Would you please pass this information on to those on your department who say the poor sharks are becoming extinct? "The situation will ultimately end up in more coastal shark fatalities if they are not culled." Jason Costigan, the Member for Whitsunday, this week accused the government of having blood on its hands after a young doctor died after he was horribly mauled at Cid Harbour. 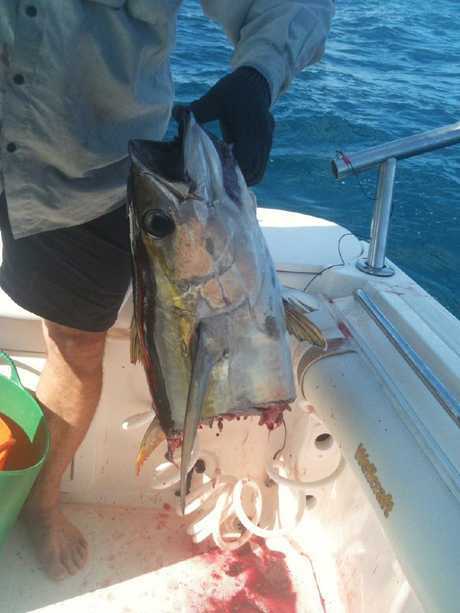 Skipper Carlo Marchese from Adventure Fishing Charters at Mooloolaba said Read was right. "The sharks are now in plague proportions off the Sunshine Coast," he said. "The numbers are just ridiculous. "I wouldn't be surprised if we had an attack here this summer." Guests on one cruise this week snap at a large blue fin tuna being hauled aboard. Only its head was left. The government of Mike Ahern introduced compulsory log books in 1989. However, Reid says the commercial fishing industry has been overregulated since the arrival of the Goss Government and the Tom Burns inquiry in 1992. More restrictions came with the Beattie and Bligh governments. The Newman LNP government began an inquiry to lift restrictions on fishing in 2014 but was swept from office before any changes could be made. However, the screws were tightened again when the Palaszczuk government took office. Reid says net licence numbers dropped 1200 to 170 in recent years. Labor governments had made 53 changes to regulations since 1989. The new rules disadvantaged fishermen but were of great assistance to sharks. Read admits the problem was a longtime in the making and wont be solved overnight. He says a solution may be the commercialisation of shark products. Victorians were especially enamoured of shark meat, or flake, while the fins prized in Chinese cuisine. Even shark skins could be harvested for a kind of marine leather. He proposes a two-year cull. "We have to do it before more people are taken," he said. "They can't ignore this, but they are scared to do anything because they do not want to upset the bloody Greens." Meanwhile, if sharks continue to steal the commercial catch there will be fewer fish available for Australians. That means more imports from Thailand, Indonesia, Vietnam and China where there few, if any, catch restrictions apply. And some overseas countries have dubious seafood handling practices, he warned. THE royal roadshow by Prince Harry and his expectant wife, Meghan, was so successful, I'm sure it set the republican movement back a decade. I hope so anyway. And now I am looking forward to welcoming King Charles, King of Australia. The Prince of Wales may be kooky, but he is endlessly entertaining. Consider the somewhat bizarre interview he gave the BBC to mark his 70th birthday. Our future sovereign said his car runs on wine. And he promised not to be a "meddling" king. Charles (pictured) has been criticised in the past for promoting homoeopathy, GM foods, and wacky green causes, although he was praised for backing the badger cull. Pressed on whether his public campaigning will continue, he says: "No, it won't. I'm not that stupid." It seems Charles, like his mother, knows his place. Another highlight of the interview was his boast that his 38-year-old Aston Martin Volante runs on wine - an environmentally friendly fuel that "smells delicious as you're driving along''. It's actually a biofuel made from British wine. I have tasted British wine and that is a good use for it. THE killer Warrego Highway may be the most neglected road in Queensland. The Member for Lockyer, Jim McDonald, has begun a campaign for a major upgrade, pointing to Main Roads data over seven years showing traffic along the highway has grown by 25.6 per cent - well above population growth. There have been some upgrades, but not enough. McDonald was surprised when Jennifer Haslam, the secretary of the Hatton Vale Progress Association, unearthed minutes from a meeting in October 1995 in which a Main Roads boffin said the highway between Withcott and Haigslea was in serious need of improvement and that 12 interchanges and six overpasses had been planned. "That meeting took place 23 years ago and since then, only two of the interchanges have been constructed," McDonald says. IF YOU needed more proof the ABC squanders taxpayer money and fails accountability tests, consider this. A senior executive got a $232,500 bonus on top of a base pay of $388,702, taking his or her salary to $692,319. The payout was revealed in an annual report. The reason for the extravagance was withheld, but the person who won the bonus must have achieved an extraordinary management feat to earn it. We deserve to know what that feat was. For all I know, it may have been well deserved. The report shows half of all ABC senior executives got a performance bonus. What irks me is that lavish sums are splashed around to managers at a time when cultural Marxists at the ABC whine about funding shortfalls. The bonuses came as the ABC posted a $71.2 million loss. Who could forget how its economics correspondent was criticised for confusing revenue and profit when attacking corporations over low tax contributions? Of course, the ABC doesn't have to bother about paying tax, and with guaranteed taxpayer funding of $1 billion a year, the loss seems all the more extraordinary. If the ABC demands accountability of private corporations, it should tell us who was paid the big bonus and who authorised it. CHRIS Bowen. 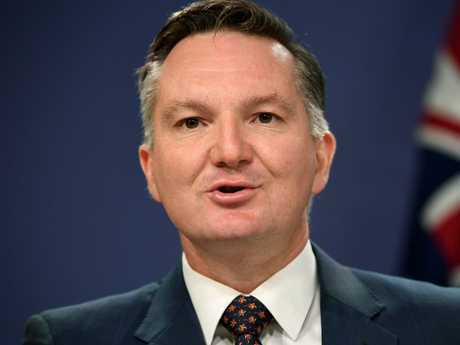 The Shadow Treasurer and architect of Labor's plan to slash negative gearing hasn't ruled out using the tax incentive himself on his lavish new beach house at Bawley Point south of Sydney. Hypocrite, hypocrite.